Thanks! The first full week is always awful but soon everyone will settle into their jobs and the shifts will become much easier/shorter. It doesn't matter how MUCH we knit as long as we ENJOY what we knit. My guess is that you've done some wonderful things in place of knitting - no shame in that. Enjoy the ebb and flow of your life and your knitting. There is no knitter shame! As long as you enjoy what you are doing, that's perfect. And, yes, remember there are only 24 hours in a day (no matter how much we wish for more). Hey, we win some we lose some! Love the washi tape idea!!! I need to find a knit or sewing one and use it in my calendar. If you find a knitting tape, Please let me know. I've looked everywhere. I think working seven days in a row is awful! You have a lot of stamina! Three hats in a month and progress on a blanket is perfectly respectable. Working 7 straight is rough at the beginning of the season but I'll get used to it. It also allows me to not work at all during the winter. Once I get back into the groove it's not bad at all. I usually work 4 12-13 hours days in a row and frankly that knocks the wind out of my sails, I am not sure how you are doing it. Rest when you can! I'm counting myself lucky this season. In years past, I've given myself shin splints over that first week back to work. Pathetic! The hours will calm down once everyone learns how to do their job. I have a couple of those lifetime projects. I don't know why they sit, abandoned, in the corner. I like the patterns, I like the yarn, and I want to use the finished items.... but there they sit, month after month and in some cases, year after year. wow, that's a lot of working and some long days for you! 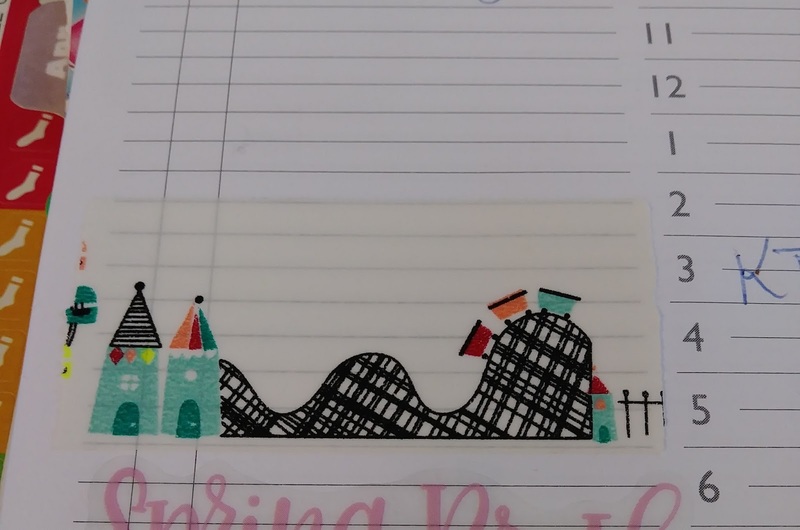 I like washi tape as well, I use them in my planner.